Quicker Than I Can Put It On! Jabbing Everyone in Their Path! 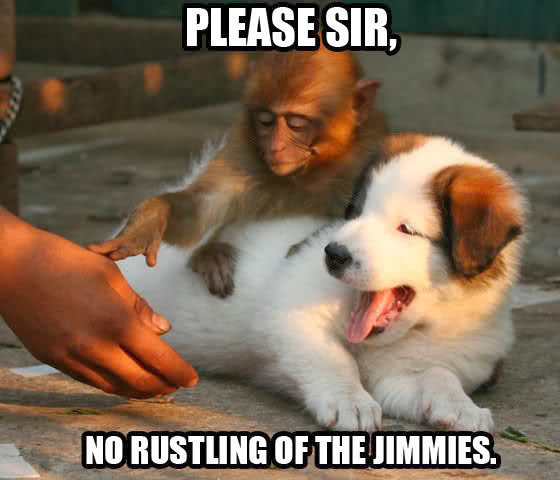 Tell me, what's been rustling your jimmies this week then? It truly does help to share..
Jimmies significantly un-russle-able this week.... I booked flights to go see De Mammy & De Pappy in de South of aFreaka. Just waiting on the kids passports and we are off!